In the beginning of far 1999, when the population of Stavropol Region began to get used to such words as `Internet`, `site` and microelement components have become more available, a group of enthusiasts decided to create the web-resource with topical, automatically renewed information of air temperature. A simple device was developed to collect meteo data. The device consists of temperature analog-digital converter with RC232 interface for connection to the serial port of the PC. 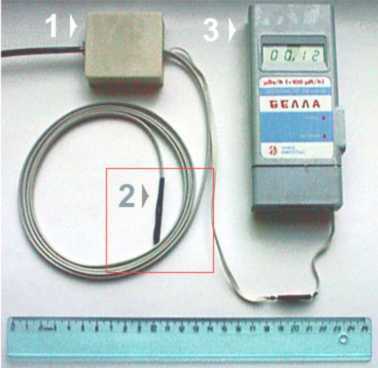 Electronic thermometer was tried and connected to the server of the internet provider `Post LTD`. Pyatigorsk design Studio `Link` (Alexander Bondarenko) created a very nice design for our site, which for now has a few changes. In November of 1999 the `Mercator Group` (Andrey Skvortsov) gave the permission for importing text forecasts and weather maps from METEO-TV site. In autumn of 2000 one of our informers was used in `Internet-Thermometer` project (held by the company `METEO-TV`) and installed near the subway station `Polyanka`, where it is working till now. In the future the temperature informer has been combined with radiation level informer (it is made on the basis of `Bella`, In the end it has come out the combined informer of temperature and radiation level. The informers were installed in Pyatigorsk, Essentuky, Georgievsk, Arhiz in 2001-2003, but for the project it was hard times. It has become unavoidable to upgrade the software for informers, have a new look to the data structure.